What is a Redevelopment Agency? A government body dedicated to urban renewal. Typically a municipal level city department focused on a particular district or corridor that has become neglected or blighted. 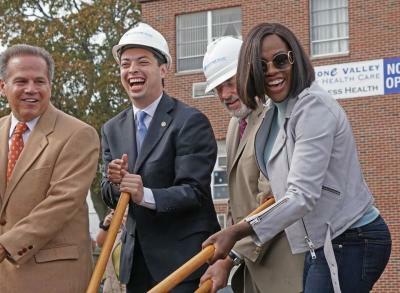 Redevelopment efforts often focus on reducing crime, destroying unsuitable buildings and dwellings, restoring historic features and structures, and creating new landscaping, housing and business opportunities mixed with expanded government services and transportation infrastructure. Tim Grace, 1117 Lonsdale Ave.
​Silva Rosa, 495 Pine St.
Richard Oliveira, 116 Cross St.